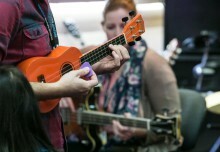 Flegg High School became a Musical Futures Champion school in 2009, enabling the music department to become involved in a national network of teachers and music educators who were committed to raising the standard of the pupil’s musical experience in the secondary classroom. The Musical Futures ethos is embedded throughout both Key Stages and the skills of listening, composing and performing are integrated into every topic to allow pupils to become well-rounded musicians with a diverse range of skills. 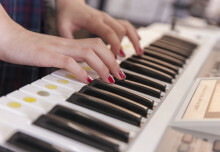 We acknowledge the importance of music theory but we endeavour to teach this vital aspect of music education through practical tasks that allow the pupils to apply their knowledge to music from a variety of genres. We have three Key Stage 4 groups across Years 9-11, and we have introduced RSL level 2 to run alongside our GCSE course. We have run hugely successful composing competitions, enterprise activities, intervention projects and summer schools all planned to enhance the curriculum provision. 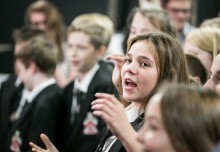 Regular concerts showcase a range of musical styles and contain performances from all our extra-curricular groups as well as performances and compositions learnt in the classroom. The focus of our extra-curricular provision is to provide pupils with experiences that they are unable to find locally. This includes regular opportunities to perform as well as workshops musicians from different genres and cultures. We have established links with rock bands, performers and composers whose visits provide pupils with the opportunity to experience what it is like to have a career in the music. 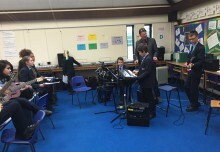 The music department is also strongly committed to making regular visits to arts venues both in Norfolk and nationally. Technology is playing an increasingly large part in the lives of our pupils and we are furthering their engagement in the music at Flegg by reflecting this trend in providing exciting learning experiences both in the classroom and beyond.